Five face down cards are shown. Three are taken out, and then put back in their places face up. The face up cards are seen to be alternated with face down cards. With a snap of the fingers, and without any suspicious moves, the face up cards magically turn face down. - Easy to do, easy to set up, no need for a table. - Perfect for your card routines and very practical for street magic. 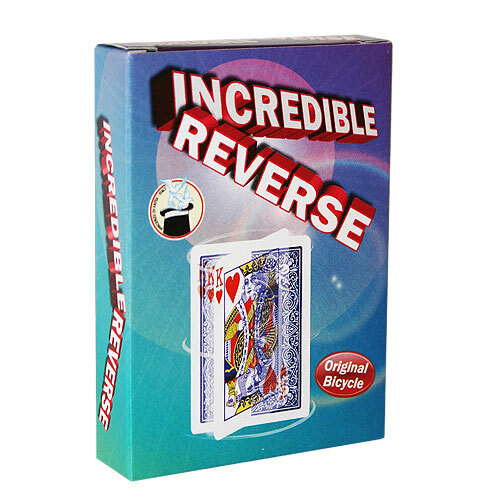 - Original poker size Bicycle cards are supplied. The value of the cards, and the colour of their backs, may vary from the ones shown in the video.